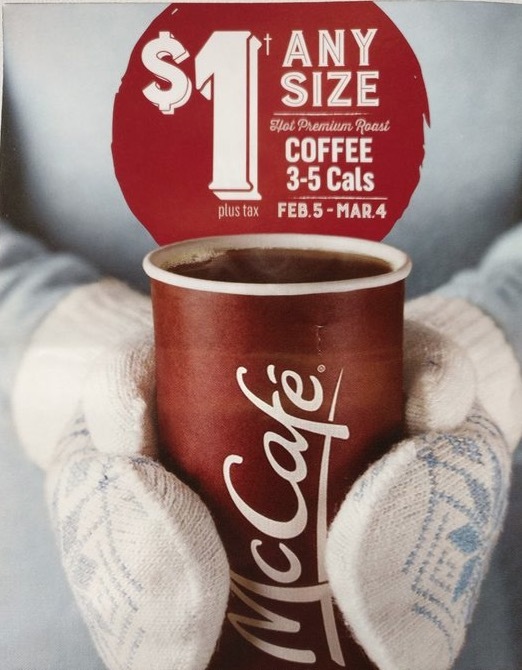 McDonald’s McCafé Canada has a new promotion! Get any size McCafé Brewed Coffee for only $1 plus tax. This offer is available from February 5, 2018, until March 4, 2018, only. Click here to find a McDonald’s near you!